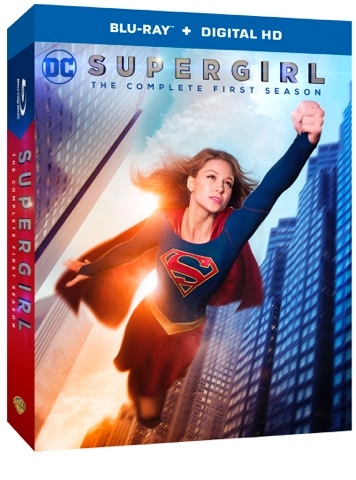 GenreOnline.net: Supergirl: The Complete First Season Comes To Blu-ray on August 9, 2016! Supergirl: The Complete First Season Comes To Blu-ray on August 9, 2016! · The Man From Mars: Superman once described J'onn J'onzz as "the most powerful being on the face of the Earth." This documentary will explore J’onn J’onzz’s current circumstances onSupergirl as the alien who swore an oath to a dying father to protect his daughters. · A World Left Behind: Krypton: Kara Zor-El's home planet of Krypton was destroyed in the opening minutes of the pilot. It was a spectacular, futuristic society filled with mystery and intrigue! This documentary will explore the history of this famous planet and its role and depiction in Supergirl.